The Arabian Sea is one of the most important landscape features of Mumbai. Diverse social, economic and natural fabrics of the city are transected by its coastline, and multiple existences are, thus, unfolded. Versova area situated at the conjunction between a creek and the sea offers one such unique opportunity where intricate relationships are found between the landscape, community and urbanisation process. 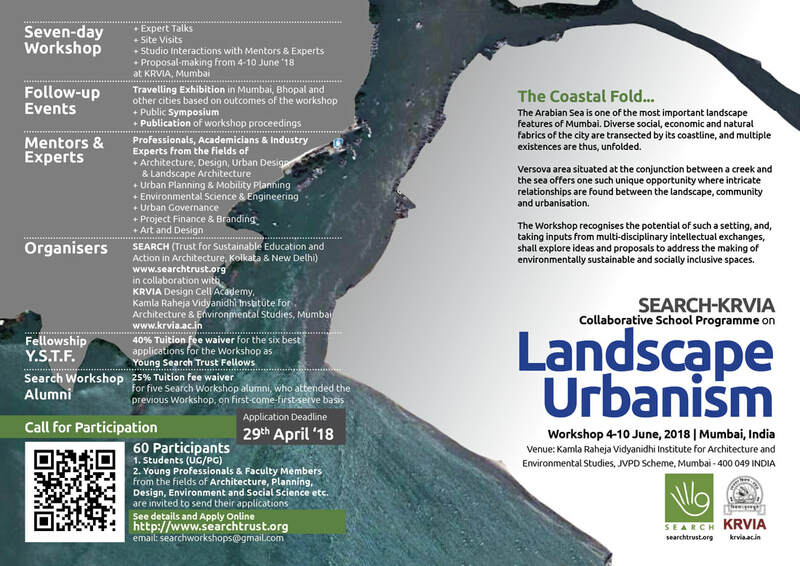 The Workshop recognises the potential of such a setting, and, taking inputs from multi-disciplinary intellectual exchanges, shall explore ideas and proposals to address the making of environmentally sustainable and socially inclusive public spaces. 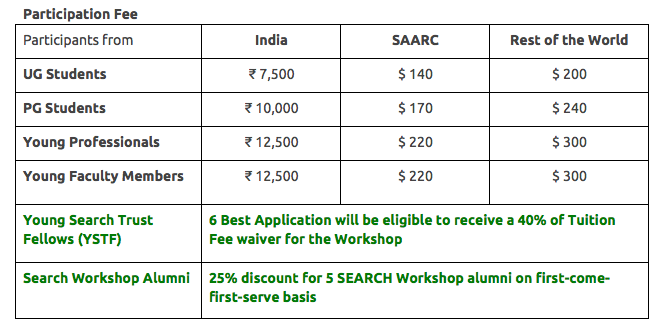 SEARCH is a charitable non-profit trust registered in India to promote activities of excellence in the fields of built environment and related spheres. The team includes eminent professionals, mainly architects, planners and designers, from Delhi, Kolkata and several places across the globe. The Trust intends to collaborate to impart socially nuanced and technologically appropriate knowledge-generation in Architecture, Planning, Design, Urban Studies and related realms. 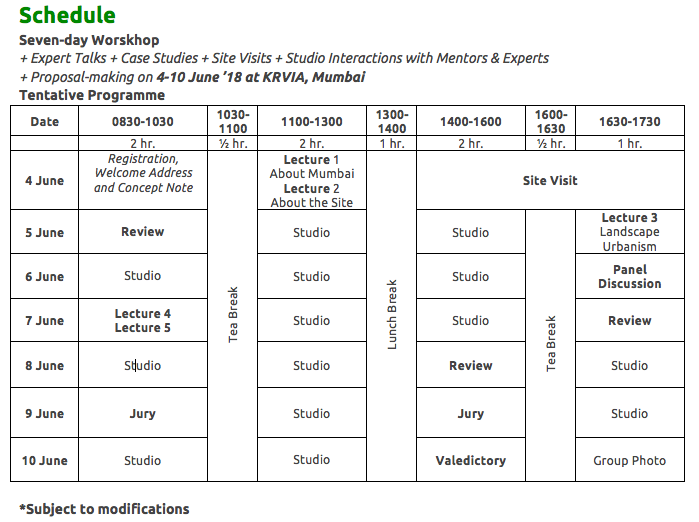 ​An initiative of the Kamla Raheja Foundation and the Upanagar Shikhshan MandaI, is one of the premier institue for architecture in Mumbai, India. It offers a Bachelor’s in Architecture degree (B.Arch) and two full time Masters courses (M.Arch. - Urban Design / Urban Conservation). All of these courses are run under the aegis of the University of Mumbai. from UG: B. Arch, B. Planning, B. Des and associated fields of Environment and Social Science etc. from PG: M.Arch, M.Plan, M.Des and associated fields of Environment and Social Science etc. On the selection, the applicant will have to deposit the Participation Fee within 4 days of notification. Further, Wait-listed applicants will be invited after the review on vacant seats. They will be asked to submit the participation fee within 3 days. 30% refund will be provided if the selected applicant withdraws from the workshop till 21 May 2018. No refund will be provided after that. In case of any misinformation or plagiarism in application and portfolio, applicant’s registration for the workshop will be cancelled and no refund will be provided. The organisers plan to provide Tea/Coffee during the breaks. Lunch is to borne by the participants. A small canteen with mini-meals, snacks and juices is functional at the venue. Individuals willing to participate in the Workshop and accepting above conditions may apply by filling this application form.